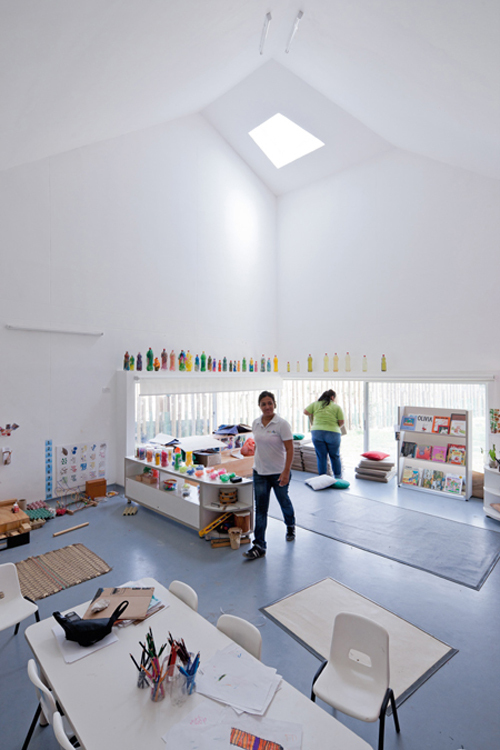 Timayui kindergarten' designed by Giancarlo Mazzanti in Santa Marta, Colombia utilises a strategic modular approach of neutral spaces for children to both transform with their imaginations and to be open-ended to change, grow and adapt with time. 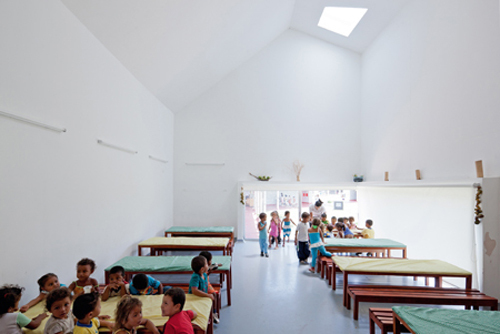 Mazzanti has been developing a modular school system and the Timayui kindergarten is his twelfth school design. 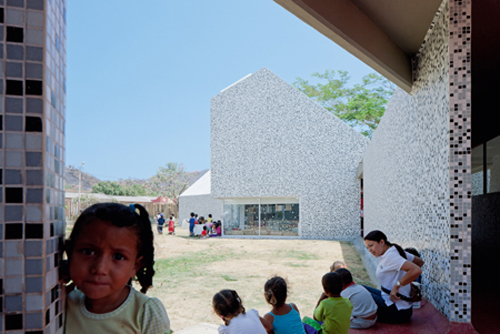 Timayui is a poor rural community located at the edge of Santa Marta, a city on the coast of the Carribean. 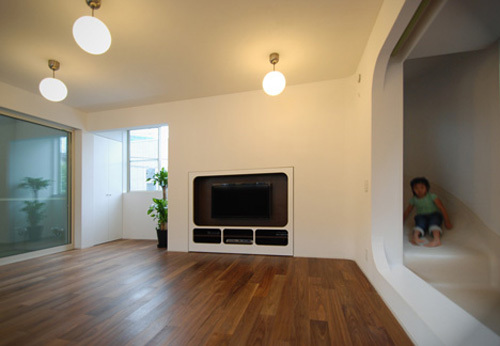 Photos are taken from Design Boom and Arbitare. 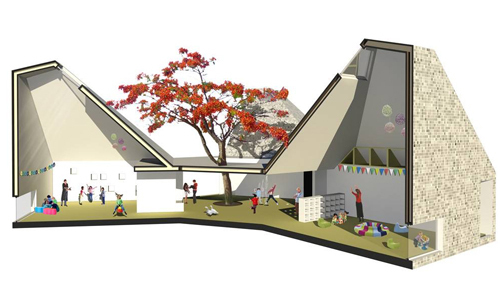 The kindergarten will serve 350 babies and toddlers up to the age of five in four classroom groups, and five shared and administrative spaces, strung along a covered spine. 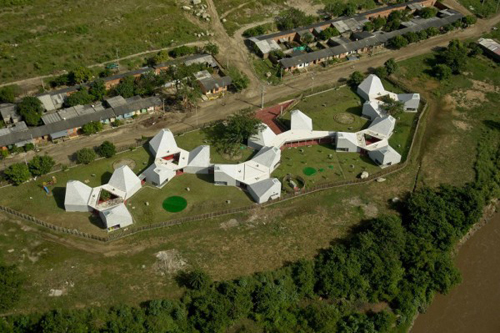 ...each module made up of three rooms around a hexagonal courtyard, linking between external and interior spaces throughout. 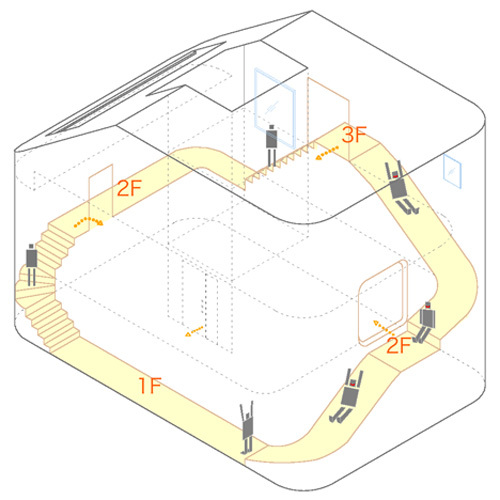 The layout of the modules, linked by covered walkways, depends on the topographic context in each case. 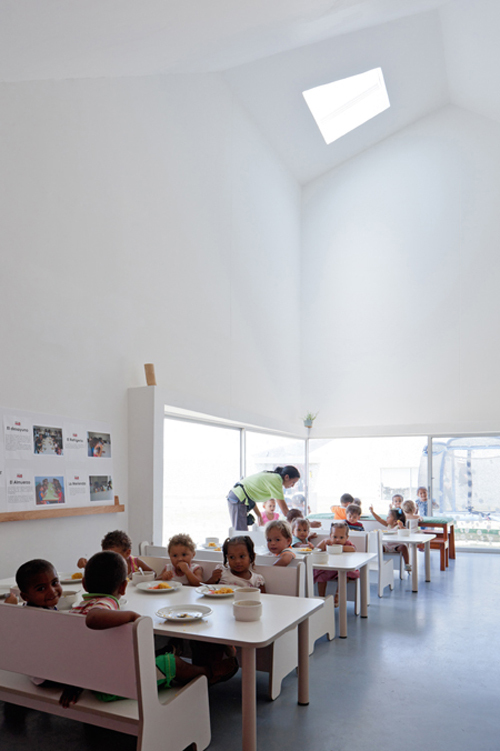 Each project has the possibility of growing over time, with the best occupation of the available spaces, allowing for the involvement in educational projects of increasing numbers of children. 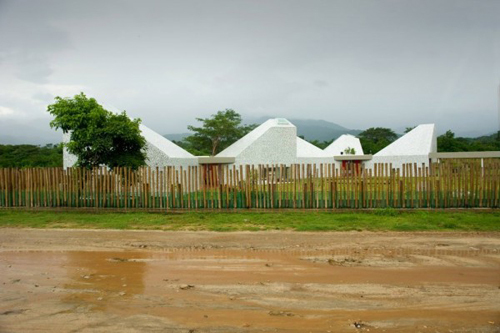 These modules, which create a cluster of pyramids echoing the nearby mountains make possible quick, low cost, sustainable buildings that can readily adapt to a wide variety of urban and topographical situations. 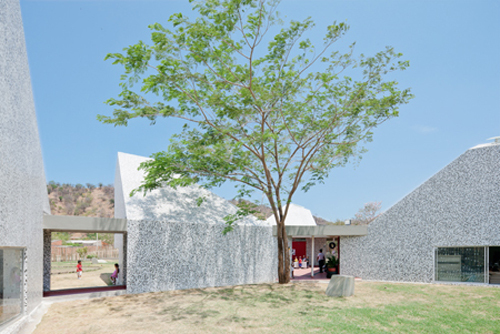 The load bearing panels of thrown concrete have a high thermal efficiency and are clad in speckled ceramic resembling local rocks to reduce maintenance. 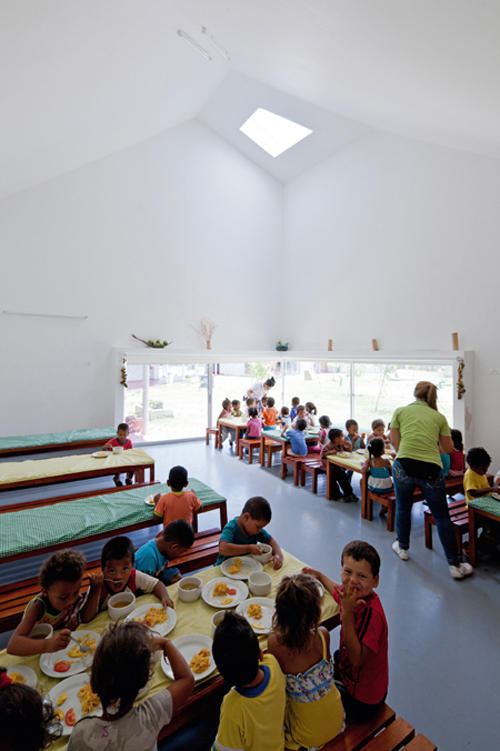 The unusual tapering classroom shape creates a chimney effect, making for effective ventilation and combined with its north-south orientation minimses waste energy. 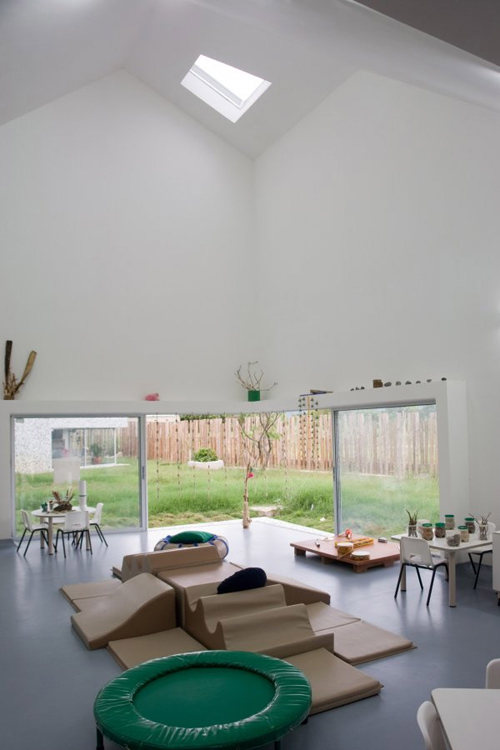 Natural light is able to penetrate the spatious interior via the roof and large corner windows, whilst ainwater is recycled for use in the bathrooms and irrigation. 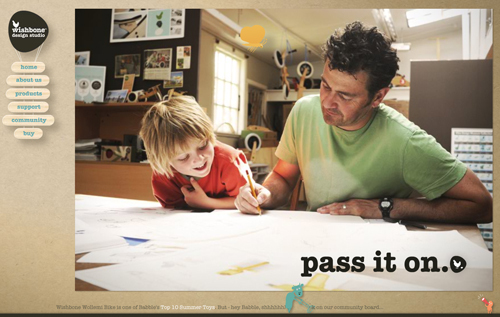 As told by (one of my favourite NZ art & design websites) CleverBastards, the Wishbone bikes started in the the bathroom of a 20th floor New York apartment... while Richard, an industrial designer, was a stay-at-home dad. 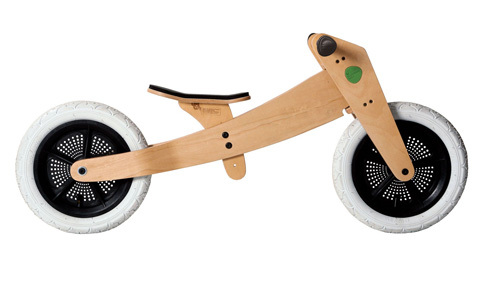 He wanted to build a bike that would enable his young son Noah to keep up with him on their daily walks in Central Park. 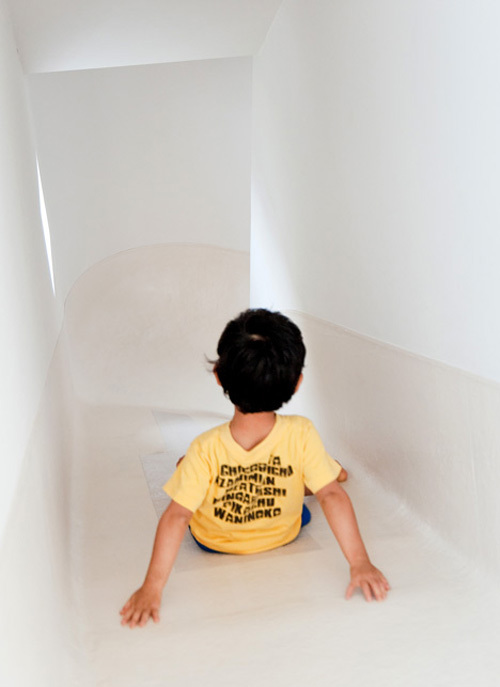 He then started experimenting with different designs and knew he had a winning design when New Yorkers began approaching him and Noah in Central Park asking where they could buy one. 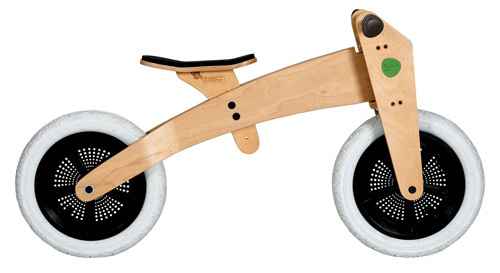 Made from sustainably-grown wood, the running bike has no pedals and is propelled by the young rider's feet, Flintstone-style. 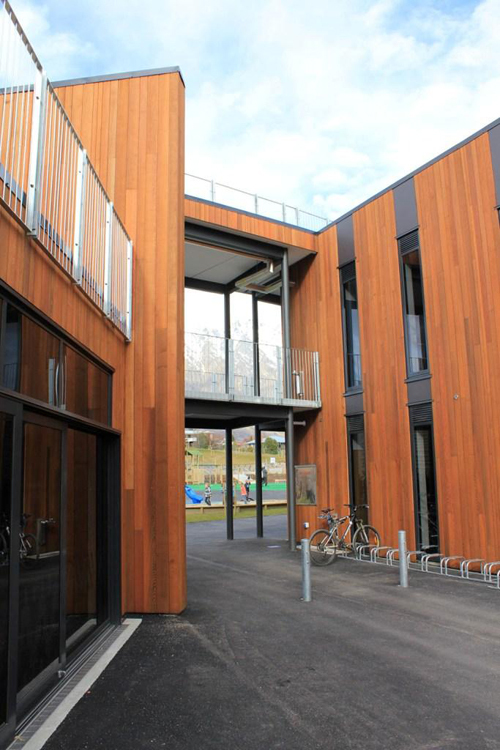 The bikes have no pedals and teach children balance and co-ordination, preparing them for a two-wheeled bike with pedals. 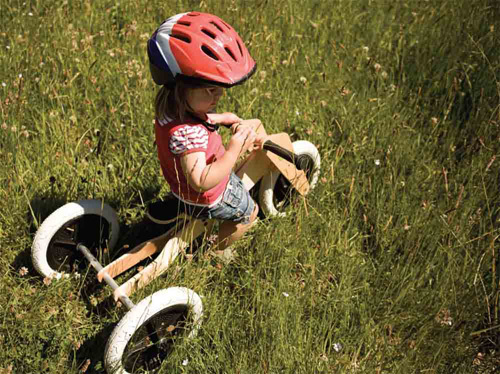 The Wishbone Bike converts from a three-wheeled tricycle suitable for just-walking toddlers, to a two-wheeled bike that teaches the confident rider to balance. 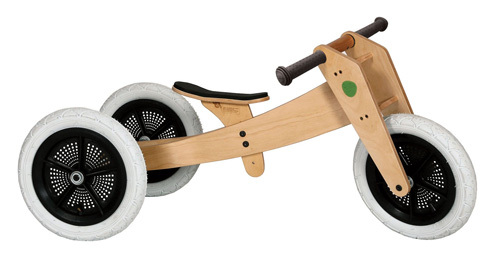 The Wishbone Bike adapts to meet the needs of a growing child. "We wanted to create a bike that our children could have fun riding throughout their toddler years, until they were ready for a two-wheeled bike with pedals." 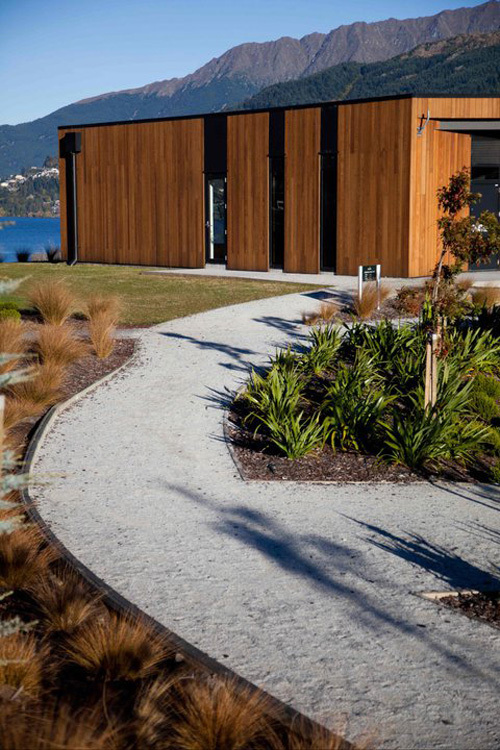 Transformational design is at the heart of Wishbone Design's philosophy. 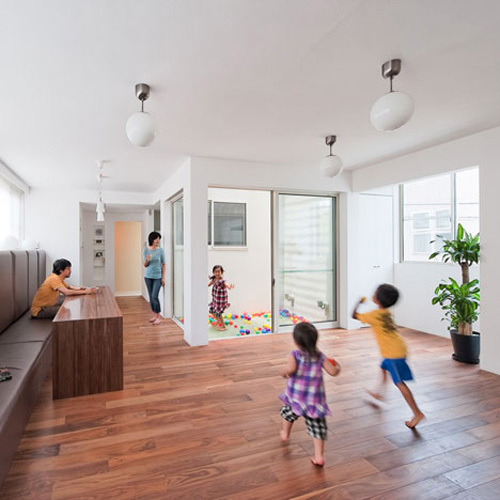 The company aims to design products for families that have enduring value and evolve with the families changing needs. 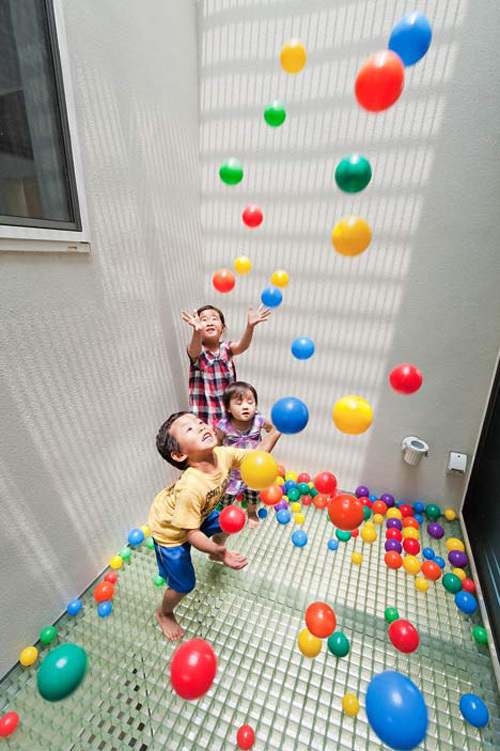 "We want our products to become heirlooms, and appeal to design-conscious parents and grandparents. 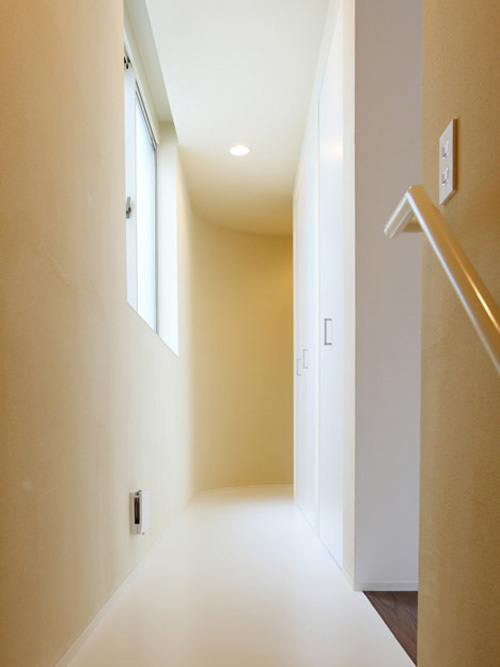 Wishbone Designs are cleverly simple and built to last." 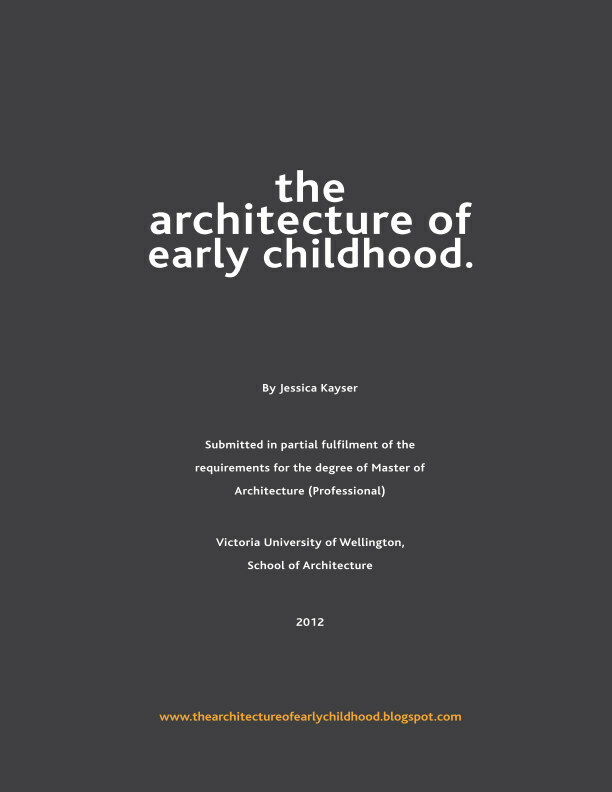 Awarded Best Toy 2009 at the Baby Wereld Awards in the Netherlands and presented with an Innovation Award from the US Juvenile Products. 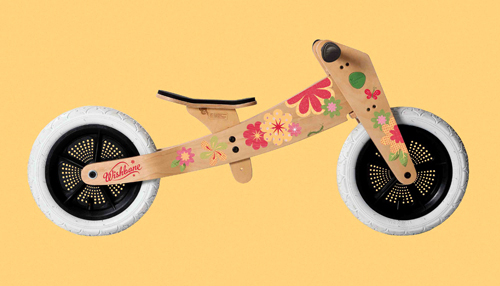 TIME Magazine included Wishbone Bike in its annual Style & Design 100, highlighting 100 influential people and products each year. 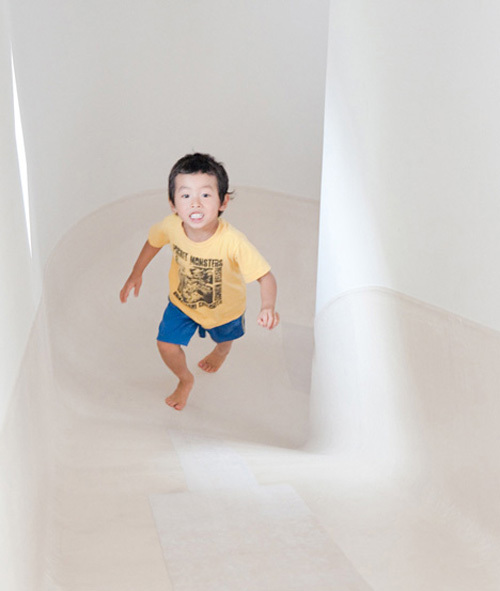 Wishbone have also collaborated with other artists to create limited editions. 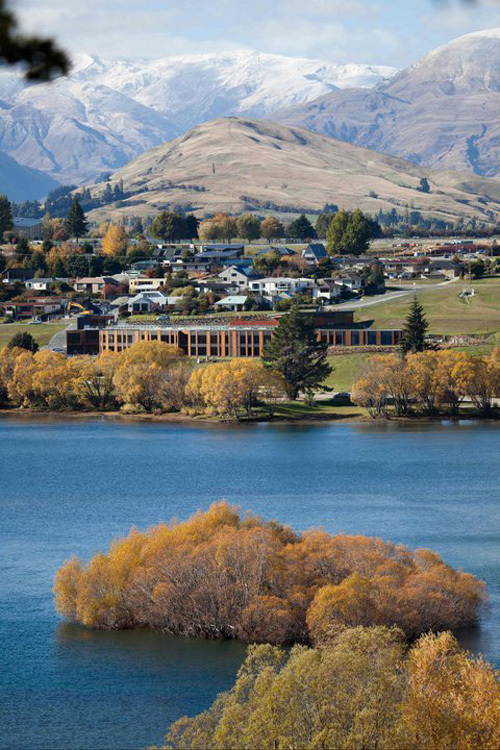 This limited edition decorative design - endangered snail bike by artist Neal Whittington takes its inspiration from the endangered giant kauri snail of New Zealand, which speaks about the key role of biodiversity to our survival on Earth, and the difference each person can make through simple actions. 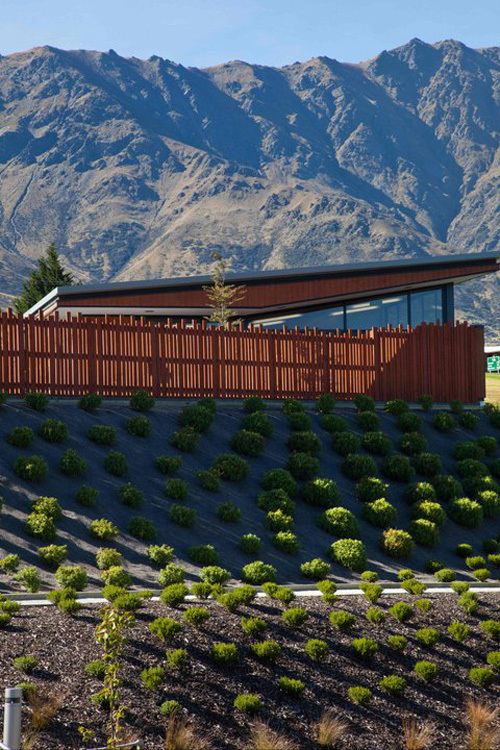 This design was done by (a cleverbastard) Shane Hansen featuring a contemporary Maori-inspired artwork - telling a story of flowing rivers and high mountains, of people who share this natural environment, and of their connection to one another. 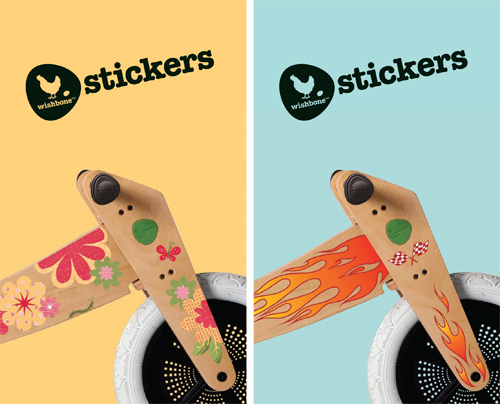 Kids are also able to personalise their Wishbone Bikes with stickers! 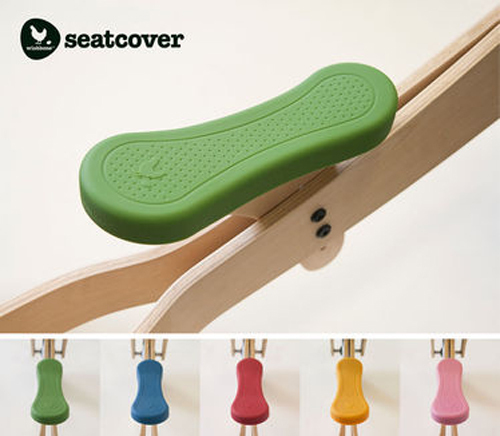 As well as choose their own seat colour! 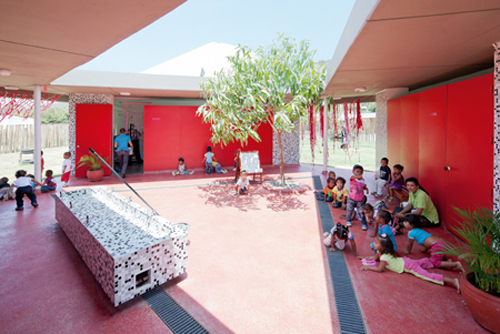 I think that we can learn from Wishbone Design - their approach to designing for children - their use of clever and real sustainable materials, simple and organic form that can be easily put together (and taken apart), their approach to "growing with the user" and collaborations with artists and tools for personalising - stickers and coloured seats for each child to call their own. 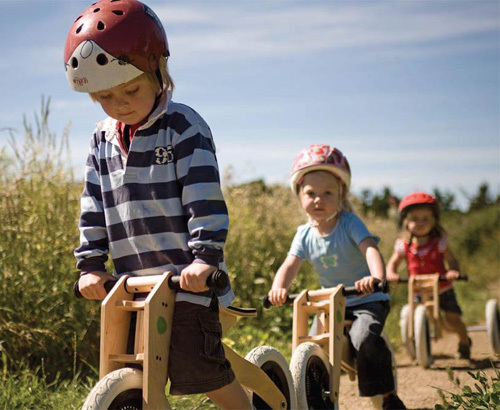 Wishbone bikes teach children balance and co-ordination as well as are fun and playful. 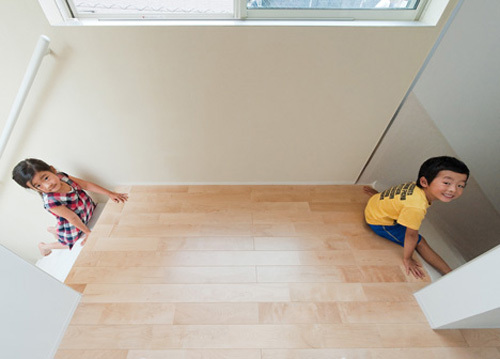 Wishbone proves that good design can go a long way. 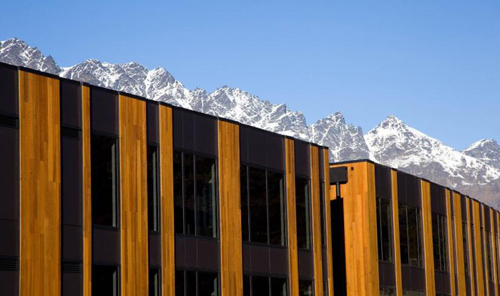 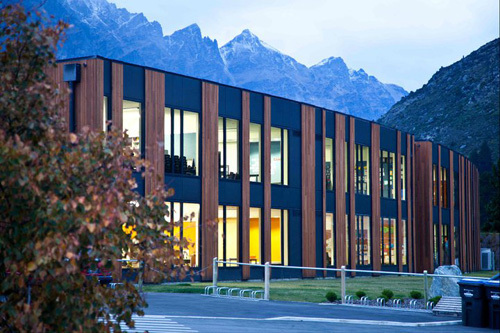 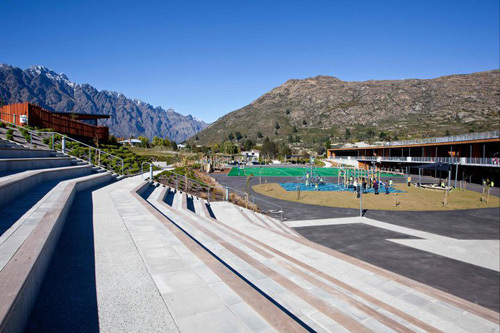 Remarkables Primary School in Queenstown, New Zealand designed by Babbage Architects is am example of a radical (futuristic) design for a New Zealand school, which includes 24 classrooms to accommodate 560 pupils - plus an early-learning centre for a further 30 pre-schoolers. 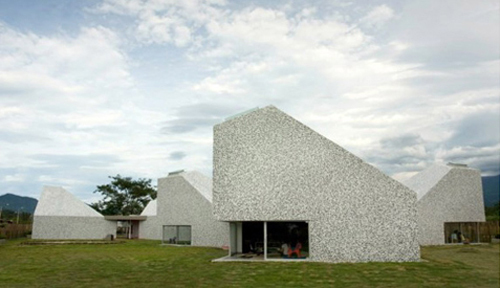 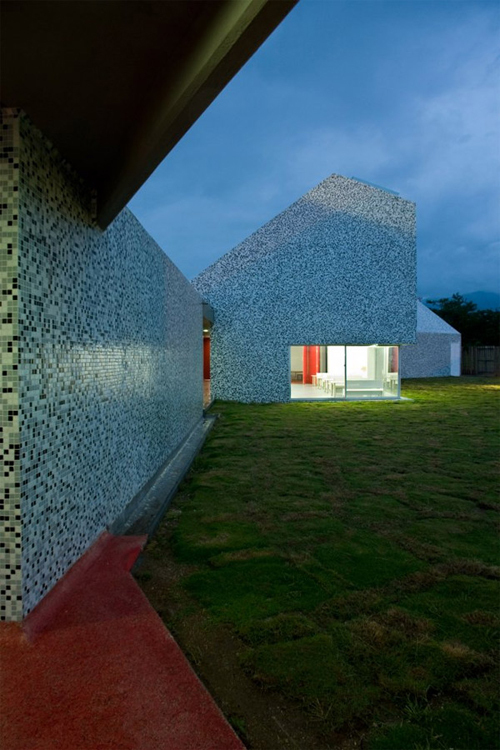 The design was based on the principles of architect Prakesh Nair. 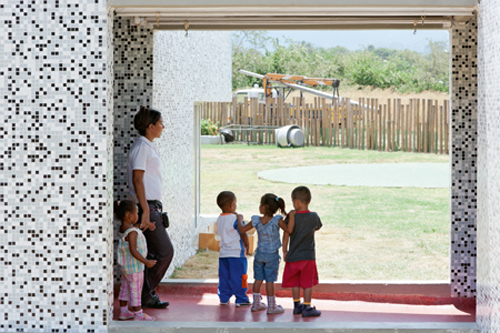 It is his research and work that has led to the school having spaces for waterholes (meeting places for students), campfires (where adults share wisdom with the young) and caves (private and secure places) for children and adults. 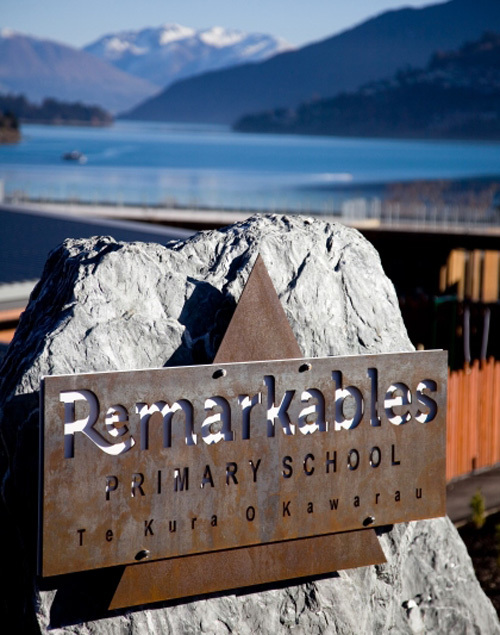 The school's establishment board had a strong vision for a modern approach to teaching and the values of the school - as a welcoming, caring and inclusive environment, serving the needs of the community. 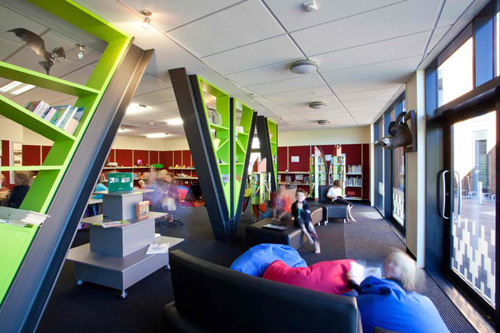 An adaptable environment was required that would meet current and future pedagogical needs. 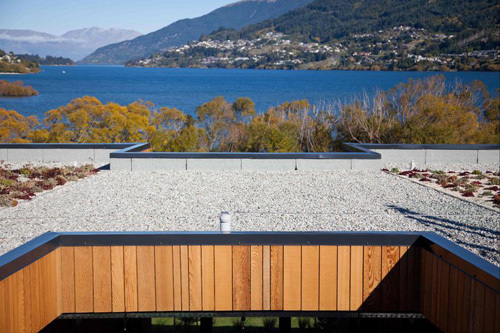 With a stunning setting between Lake Wakatipu and The Remarkables mountain range, Babbage wanted an architectural form that responded to and was fully integrated with the landscape. 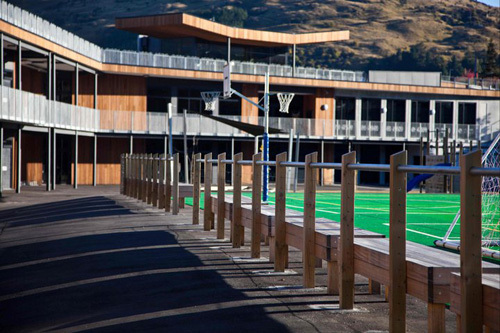 As a response to the site conditions, the buildings have been arranged as a wind break around the play and external teaching areas - the social heart of the school - to enable comfortable year round use. 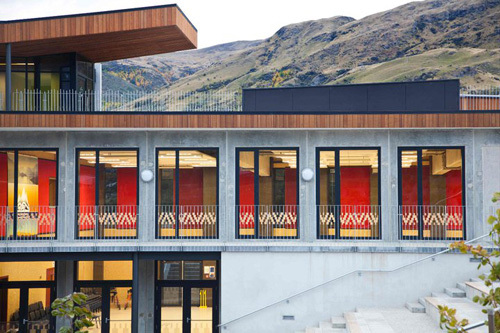 The natural contours of the site have been used to create an outside auditorium/performance space, embraced by the buildings, which appear to be emerging from the surrounding landscape, enhanced by the natural tones of the materials used. 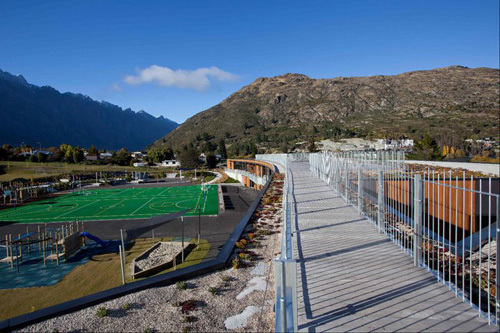 The site is approximately half the size of a typical NZ primary school so the need to utilise the space to the best of its potential was paramount. 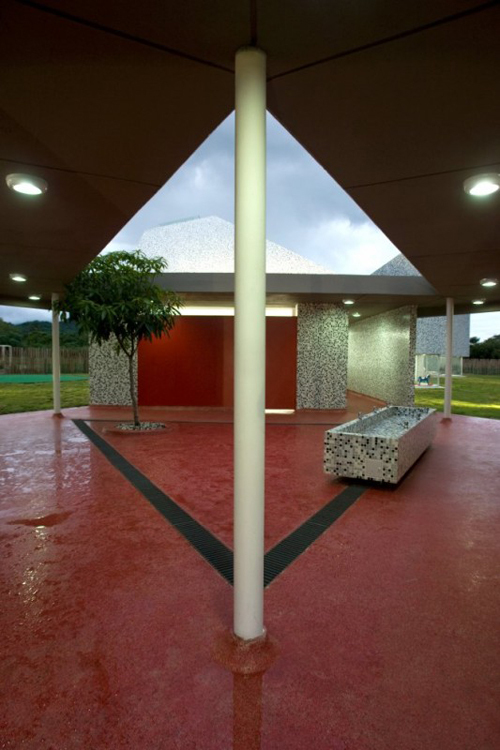 This led to a landscaped roof enabling the children further outdoor and learning and playing space. 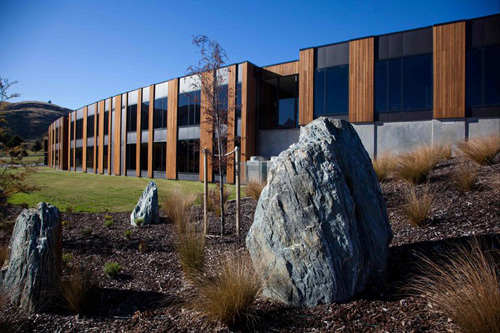 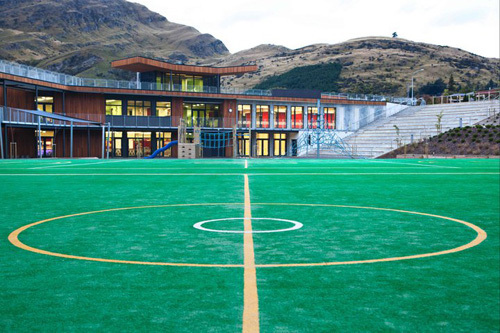 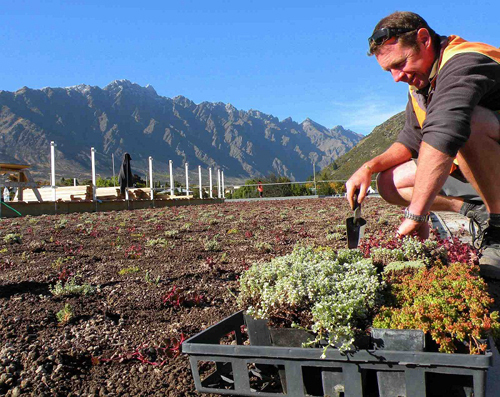 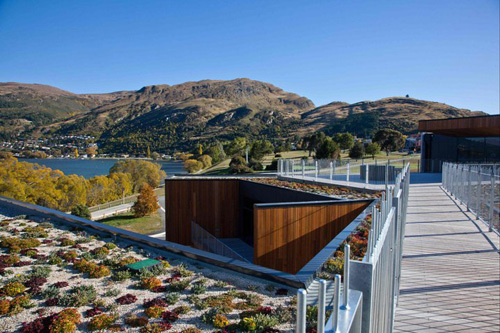 Remarkables Primary is one of a handful of schools throughout the world who can boast a green roof, which exhibits turfed and boardwalk areas. 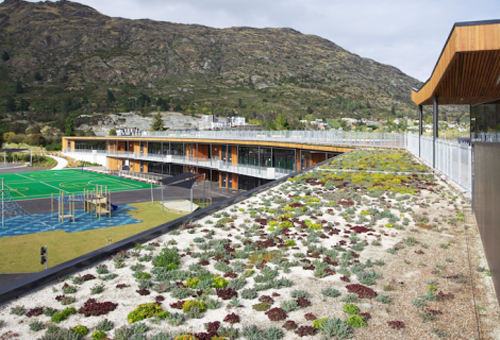 Built in two phases, the roof is made up of a wide variety of sedum and succulent plants manually planted into the growing medium by GreenRoofs Ltd. 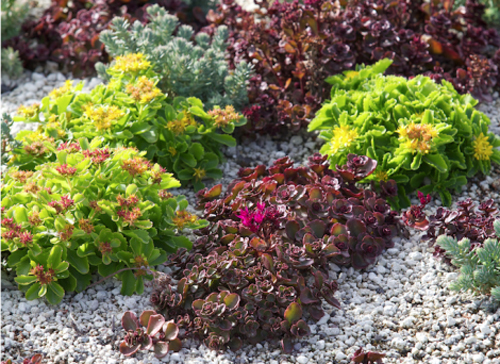 The plants which were chosen for their hardiness to survive the cold will turn into different colours throughout the year. 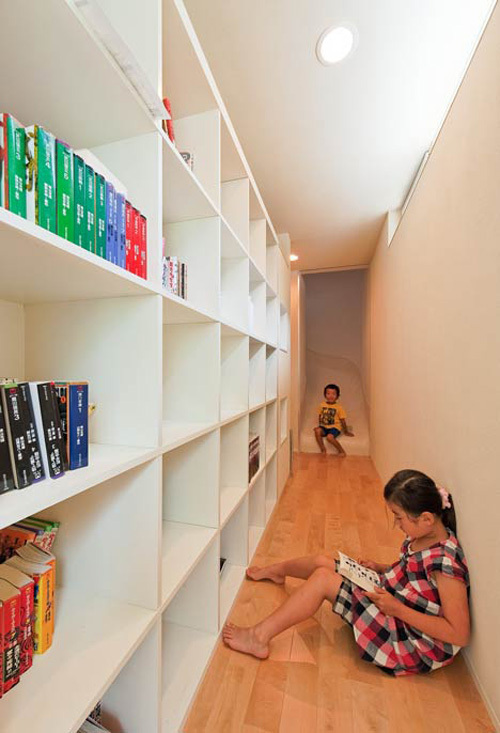 A double height terrace doubles as a ball pen! 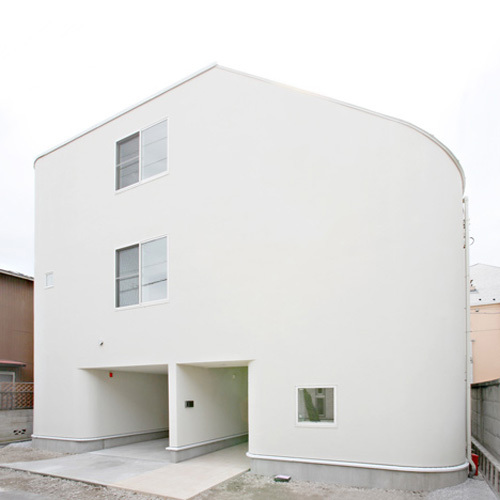 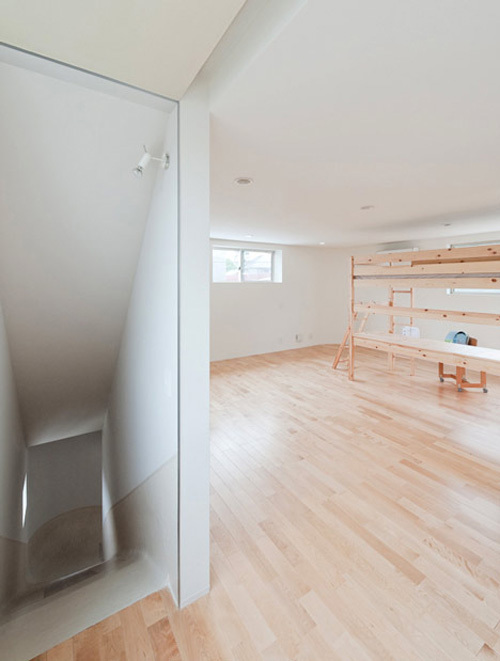 I love how the architecture in Tokyo is clever in its use of space, even the furniture has wheels to be moved, allowing the space to me multifunctional.